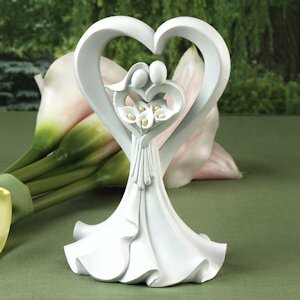 If calla lilies are part of your wedding bridal bouquet or the central theme at your wedding, then this cake topper is a must. 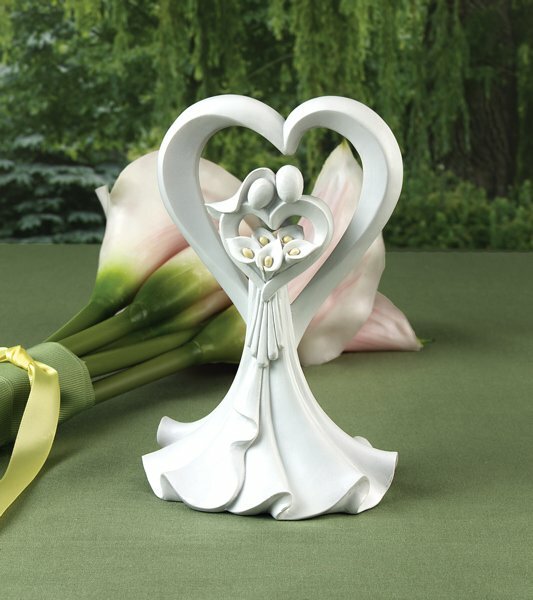 A loving modern couple united as one holding a calla lily bouquet are depicted on this resin cake topper which stands about 6.25" tall. 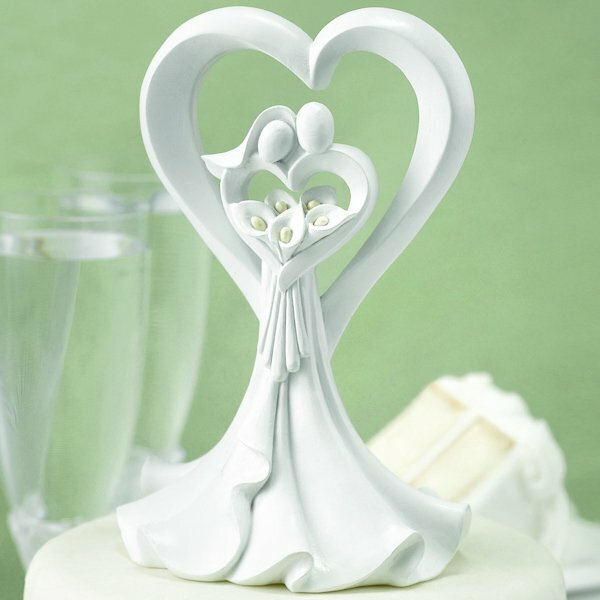 Note this item is part of our Love's Embrace accessory collection so check out all the other accessories for a cohesive look on your big day!